This two-story factory, built in 1901 at a cost of $30,000 (including land), is the Haymarket's most substantial reminder of the farm implement industry, a vital component of Lincoln's early economy. 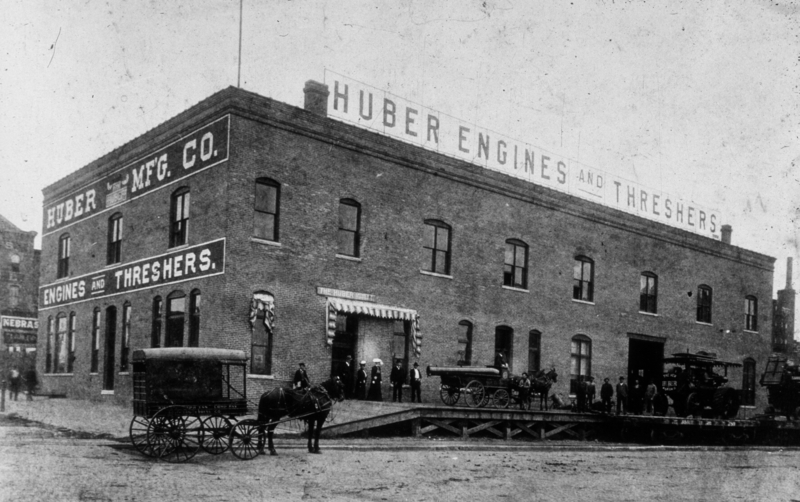 Huber Manufacturing Company was a pioneer thresher manufacturer. A Lincoln newspaper boasted in 1904: "This is a fact that Lincoln people ought to repeat over and over again, that this is the best machine town west of the Mississippi River." Estimates of a $1.5 million thresher trade for 1904 placed Lincoln second only to Kansas City. In 1905 ten of Lincoln's thirteen threshing machine companies were located in or near the Haymarket. Port Huron Machinery & Supply Company followed Huber in the building, occupying it from 1941 until the 1980s. The faded combination of Port Huron and Huber wall signs may be garbled as advertising but speak clearly of days past.